t may sound like another sensationalist headline, but this one is one hundred percent true. Yesterday, during a hearing that might help determine the fate of electronic cigarettes in America, Mitch Zeller, director of the FDA’s Center for Tobacco Products told Congress that using e-cigarettes is safer than smoking. vaping-e-cigs“If we could get all of those people [who smoke] to completely switch all of their cigarettes to noncombustible cigarettes, it would be good for public health,” Mitch Zeller said, yesterday. “Let’s not lose our focus on what the primary cause is for those 480,000 avoidable deaths each year―it’s primarily burning, combusting cigarettes.” Furthermore, the agency also proposed extending the mandatory 75-day commenting period past July, to allow other voices to be heard on the subject of e-cigarette regulations and to study the products further. 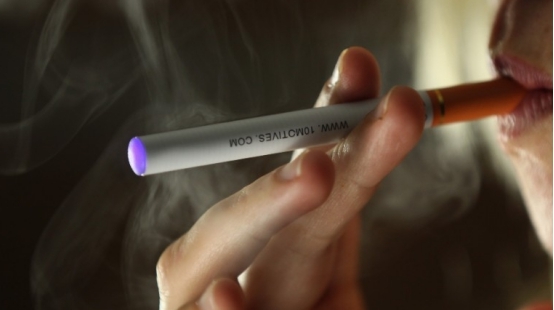 The FDA had finally released proposed regulations for electronic cigarettes at the end of April, after years of delays. However, this positive statement was shadowed by the agency’s confessed decision to base its regulatory decisions on a “guilty until proven innocent” mindset until science can finally answer all the questions regarding the long-term effects of electronic cigarettes on human health. Still, the FDA’s stance on e-cigarettes, during yesterday’s hearing, was pretty lax compared to that of the CDC (Centers for Disease Control) and several attending Senators. The CDC’s Tim McAffee went as far as to say the potential benefits of electronic cigarettes on the health of adult smokers aren’t worth the risk of kids getting addicted to e-cigarettes. “We don’t think there’s any necessity to spend 5-10 years waiting to see if a 13-year old progresses from e-cigarettes to regular ones … it’s not something we need to or should fool around with,” McAfee said. “This is a huge experiment, and it’s not fair to ask kids to be the test subjects for some hypothetical benefit to adult smokers.” The way he puts it, you would think there is already solid proof that minors are becoming addicted to nicotine by way of electronic cigarettes, while the health benefits associated with them are just hypothetical, when, in fact, recent studies show it’s the other way around. But, I for one have gotten used to this kind of tactics from anti-smoking/vaping groups.